Starting school can be an emotional time for families who have experienced the birth of a baby born premature or sick. An early or traumatic birth can lead to growth or developmental delays, behavioural challenges and disabilities, and how their child will adjust at school is a common concern for these families. For all families though, this special moment is a milestone to be celebrated. Baby Lilija was born at just 24+2 weeks, almost 4 months early, weighing 695 grams. This year, Lilija started Kindergarten. “Our miracle baby Lilija arrived in a hurry first thing on a cold Monday morning in August 2014. After experiencing some painful cramping overnight I presented at our local hospital at 3am where our daughter was born breech at 24+2 weeks gestation. Up until then, I had experienced an uncomplicated pregnancy so her early arrival was an enormous shock. Being a first-time mum, my elated mother-to-be bubble was burst dramatically as we entered the strange world of micro-prem parents, and it took many weeks to really process what had happened. I wanted to share our story, as reading positive micro-prem journeys was something that helped to keep me going throughout the hardest days sitting at her bedside in the NICU. Although Lilija was born healthy, pink and a ‘good’ weight for her gestation, her chances of disability-free survival dropped significantly several hours after her birth. We were informed that she had experienced a severe brain bleed on both sides that the doctors said had the potential to severely impact her quality of life. She was concurrently battling a lung haemorrhage, PDA, anaemia, and severe jaundice, and her breathing was being taken care of mechanically by an oscillating ventilator. After 28 long days I got to have my first skin-to-skin Kangaroo cuddle with Lilija; an amazing moment that took the help of two nurses to achieve due to all the tubes and cords attached to her tiny body. It took a number of attempts and several weeks to get Lilija off any form of ventilation so the doctors were astounded that she kicked her oxygen completely by her original due date. We were also incredibly lucky that her brain bleeds gradually resolved on its own and no shunting was required. We were quite nervous to take our 3.45kg bundle home after 125 days of hospital care but it was a very treasured and emotional moment walking out of those NICU doors with full arms and hearts for the very first time. Since then we have attended many medical appointments to monitor Lilija’s developmental progress. Lilija’s biggest hurdle as a result of her prematurity has been gross motor delay. 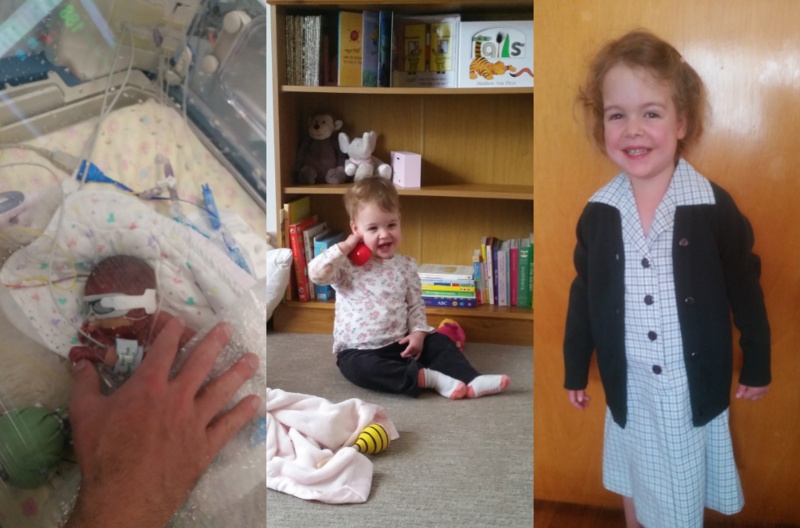 It was an extra precious moment when Lilija took her first wobbly, independent steps two weeks following her second birthday, and through much perseverance, there’s been no stopping her since. 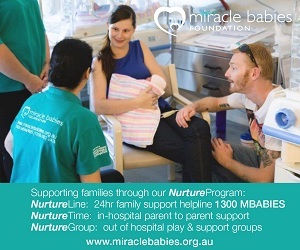 Miracle Babies Foundation provides vital support services and resources to families who have had a premature or sick newborn and connects them with others who have been through a similar experience. 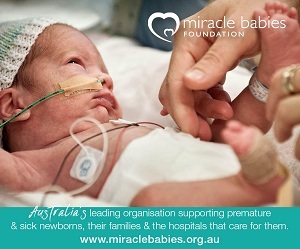 Miracle Babies Foundation is a leading not-for-profit organisation supporting premature and sick newborns, their families and the hospitals that care for them. Every year in Australia more than 48,000 newborn babies require the help of a Neonatal Intensive Care Unit (NICU) or Special Care Nursery (SCN). Around 27,000 of these babies are born premature and up to 1,000 babies lose their fight for life. For families, the experience of having a baby come into the world not as expected or planned is life-changing. Without support, this overwhelming and traumatic experience can have lifelong effects on the emotional wellbeing of these miracle families. It affects the entire family unit. 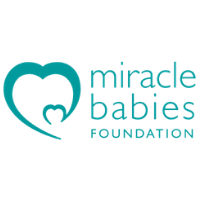 Since 2005, Miracle Babies Foundation has been passionate in developing and providing vital programs and resources to support and enhance a family’s experience from a threatened pregnancy, hospital journey with a premature or sick newborn, the transition to home and beyond. When something just doesn’t feel right!